Goals: Preservation and promotion of Kathak, and ancient classical Indian dance form from North India. (fascinating style of Indian classical art form) and keeping them informed about the rich cultural heritage of India. Teaching and promoting the knowledge and awareness of North Indian classical dance form of Kathak. To preserve and expose the heritage of the Kathak dance form, to the community at large. For enrichment of the art form (Kathak dance), to sponsor accomplished visiting dancers and accompany musicians by arranging performances and workshops. Strive to generate new interest for Kathak in local community by building relationship with various community based organizations and educational institute via lecture demonstrations, presentations, and workshops. To give opportunity to perform in large stage with live musicians, building on their self confidence and adding to their creativity. Over time, the current students are prepared to teach and continually pass on their Kathak knowledge and expertise to newer generation in order to preserve the art form. Kathak dance’s demanding preciseness and fine tuning mathematical skill, is very healthy for the mind, body and soul, thus helps grow a character with conviction. 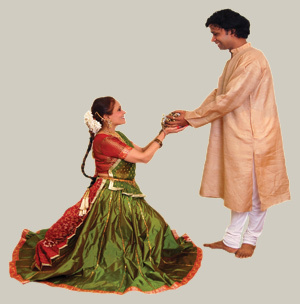 The classes range in levels from introduction to Kathak to advance/professional and are designed to prepare students for pure enjoyment and appreciation of art. With the study of dance, students benefit immeasurably self discipline, self confidence, poise, grace, good posture, respect for hard work and appreciation for the art which they carry with them throughout their life. The dance training has been designed into levels appropriate to age, maturity & dance expertise of each students. High standards are tempered by motivating, encouraging and providing enthusiastic learning environment. Students progress through structured Kathak curriculum. Philosophy of SDA is to facilitate learning in order for every student to achieve their full potential. SDA offer qualified approved course in Kathak and follow structured curriculum which is acclaimed internationally, and adapted by the well renowned schools of Kathak. With consultation & research Abhay Shankar Mishra has designed the curriculum (syllabus) which has fundamentals and the best practices from all 3 styles of Kathak. Abhay Shankar Mishra is leading established exponent of Kathak and also mesmerizing performer, dynamic teacher and a creative choreographer of Kathak. His unique experience of learning all three of the major Gharannas of Kathak Lucknow, Jaipur and Banaras. He draws on his vast experiences to beautifully amalgamate all three Gharanas.